What is this black circular wire included with the FS-IA6B Receiver? The one in the bottom right that seems to ground itself? It’s a binding key - will allow you to rebind the receiver to another transmitter if you change transmitter for some reason - or if you have to replace the receiver with a new one. 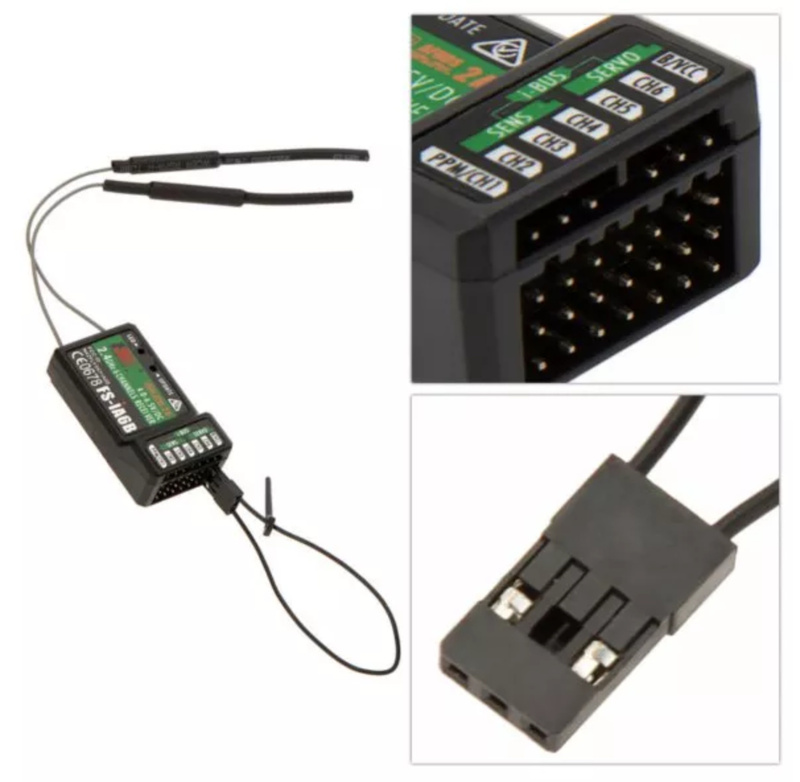 Binding means the receiver and transmitter are linked and won’t work with another random one - meaning you can fly in groups without accidentally interfering with each other.